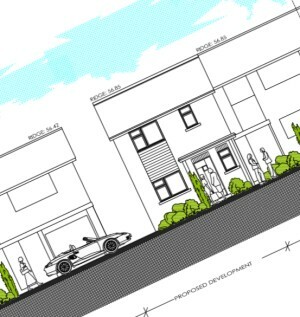 Borough of Poole: Pure Town Planning made another successful appearance at Planning Committee last week, this time with Matt appearing before the Councillors on the planning board of the Borough of Poole speaking in support of an application to demolish an existing garage and erect a 3-bedroom semi-detached house in Canford Heath, Poole, Dorset. We were asked to step in at the last minute to push the application over the line by our friends at ARC Architects, who designed the scheme. The application, which had a recommendation for approval, was called in by a Ward Councillor who echoed objections raised by numerous neighbours which meant the final decision laid with the Councillors. Following Matt’s deputation and his responses to the questions thrown at him, it was put to the vote and the application was subsequently approved 6 votes to 3 by the Members. If you have an application going to committee and feel you would benefit from someone experienced addressing the Members for you then give Pure Town Planning a call on 01202 585524 and let us push home the approval home for you.